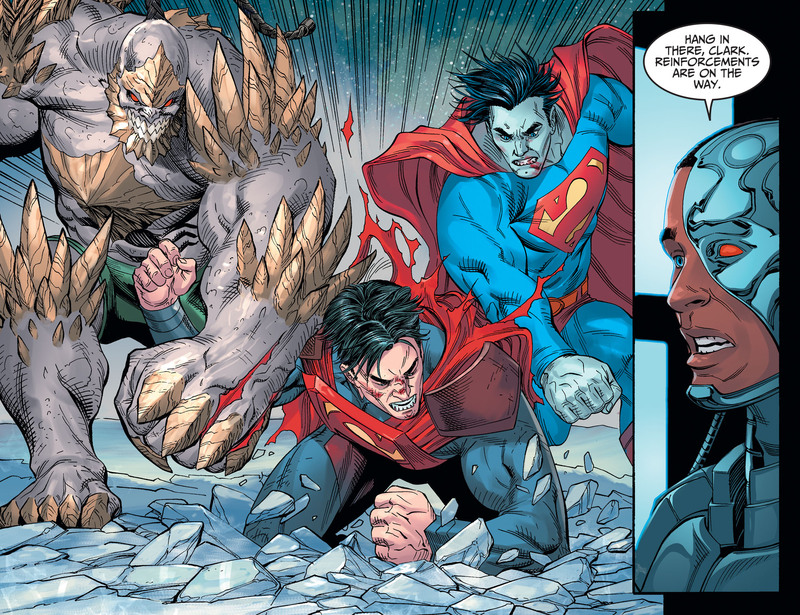 It’s a battle to the death at the Fortress of Solitude between Bizarro and a mind-controlled Doomsday. Only one will walk away from this battle. 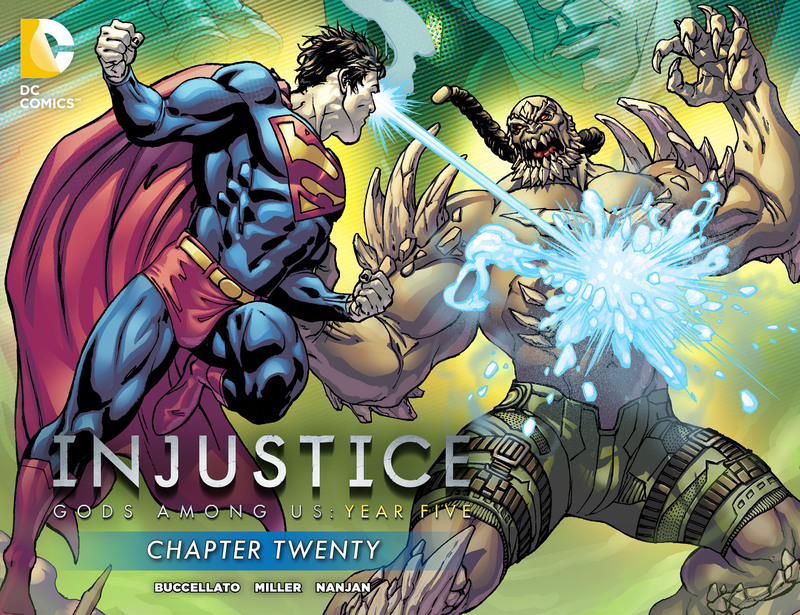 Injustice: Gods Among Us: Year Five – Chapter 20 sees Bizarro’s story arc come to a climatic end. I’ve only read a bit of Injustice: Gods Among Us, so haven’t regularly been following the series and this had me coming into this latest story arc in its last chapter. On its own, the issue won’t be all that interesting to new readers, but for those who have been keeping up, I’d guess the issue has a lot they might find interesting. It’s hard to completely recommend the issue because it’s just not new reader friendly by it’s an entertaining read for those who enjoy superhero smack downs. Almost the entire story is dedicated towards a two way (and at points three way) dance of a fight between Superman, Doomsday, and Bizarro. Writer Brian Buccellato does give us more than just that though. There’s some subtle actions by characters that make the digital comic have a bit more depth than the usual drag out fights. That’s good enough to get me to want to see what’s come before at least and see how we got to this point. But, on its own it’s not quite enough to sell it for new readers. There is one issue I have and that’s the writing of Bizarro. I find he’s a character that seems to be rather difficult to write for and here we have a stunted speech pattern as opposed to the opposite of everything we should be getting (if that’s this one’s shtick). The art by Mike S. Miller is pretty solid with some dynamic moments that play out nicely on digital devices. 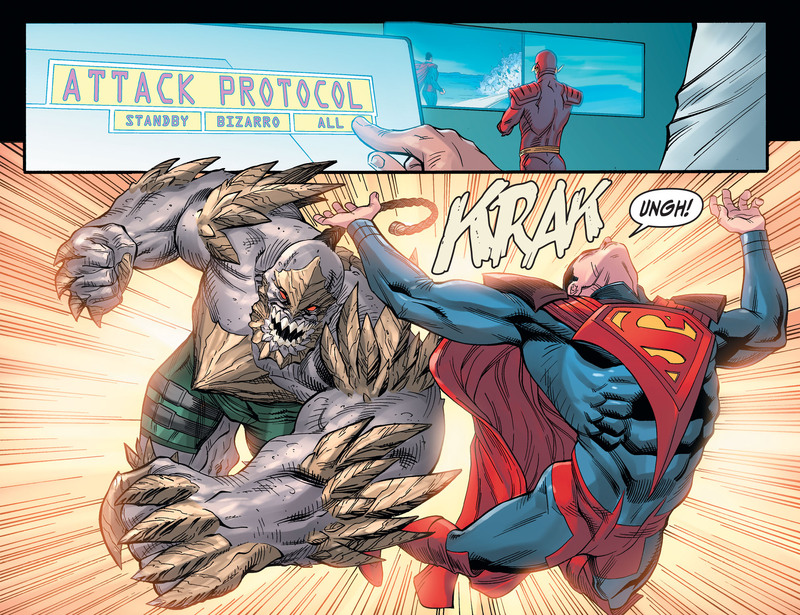 None of it is game changing but Miller’s Superman and Doomsday both are solid. I’m not quite sold on Bizarro though with his look not consistent enough for me and at times not looking enough like Superman. The chapter is entertaining in many ways but definitely not new reader friendly. Not too shocking since it’s the last chapter for the latest arc. It’s enough to make me want to go back though and see if the next chapter and arc might be a bit easier spot to start from.